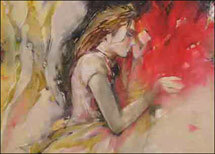 Exhibition Of Paintings By Sachin S Jaltare is an event that took place between 08-Nov-2006 and 16-Nov-2006 in Hyderabad. He's young, and he's sold 50 paintings in the last 15 months. It looks like a bubble, but, ah, so are real estate and the stock market. Shrishti Art Gallery is organising an exhibition of paintings by Sachin S Jaltare, from 8th to 16th November, at its gallery premises. Jaltare will be exhibiting about 20 paintings during the exhibition. The paintings are mostly figurative, depicting different moods and styles of humans, in acrylic on paper. He uses bright colors of red, blue, green and sometimes pink. This young artist has sold about 50 of his works in the last 15 months, which shows the popularity of his paintings among art lovers. Sachin S Jaltare was born in 1969 at Akot in Maharashtra, and has done his Bachelor in Fine Arts from Chitrakala Mahavidyalaya in Nagpur. He has participated in group and solo shows in Hyderabad, Nagpur and Bangalore. He won many prizes and awards in painting competitions and exhibition. Be the first to comment on Exhibition Of Paintings By Sachin S Jaltare! Just use the simple form below. fullhyd.com has 700,000+ monthly visits. Tell Hyderabad what you feel about Exhibition Of Paintings By Sachin S Jaltare!